Who do you think is the best zanpakto? Who do you think is the best girl partner for Ichigo? Who is the best girl for Hitsugaya-Taicho? If the Four Seasons " my eyes adore you song comes up , which song should it appear on the saddest momment ? what do you think about alak and Kuro's little crush on each other? what does RP stand for in bleach rp? Basically what we are doing here is creating your very own personalized Zanpakuto. nothing madami and nothing less. Howeve if you would like to you may include a brief paglalarawan of yourself as a Shinigami. Please do not include Vizards, Hollows, nor any other blasphemous things, because, like I sinabi before, this is purely Shinigami. This is the approximate format i wish you to use because i believe that it will streamline things and make it a whole lot easier on everyone. Aren't you curious of what Mikori did when she was little, and how she became the strict, disagreeable girl she is? Well, let me tell you now. Mikori is exactly 169 years old, which only makes sense because the residents in Soul Society age slower than humans. She lived in Rukongai District 37, on the south side. Not too shabby. Her parents were plain boring, and were the owners of a somewhat known restaurant in town. Mikori had an older brother, and her older brother was a monster. Role-playing isn't something that comes naturally to some people. It was a little hard for me at first, but I got used to it. So I'm here to help you get it better. RP-ing is just like telling a story, except you're limited to only your character. But really, it's not that hard. It's one of those things you learn over time. 1.) Use the best grammar you can. "Hey cap'n what do you want at this time of night?". "Its always night Kuro...." he sinabi slyly with a grin. "You know what i meant, now just get on with it" she began to get irrated. Bleach RP forums are play sa pamamagitan ng post Bleach Roleplay where you can RP your own custom character in an AU Bleach universe. Create your Shinigami, Quincy, Arrancar, or Fullbringer today! A bleach RP. We need madami people to participate!!!! Please sign this petition and save bleach!!! ipakita some loyalty ppl!! a poll ay idinagdag: If the Four Seasons " my eyes adore you song comes up , which song should it appear on the saddest momment ? a reply was made to the forum post: BLEACH RP! 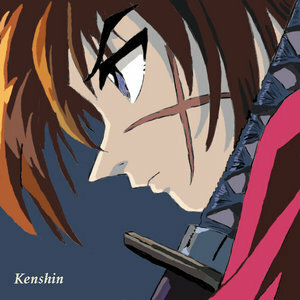 for whom works kenshin himura?